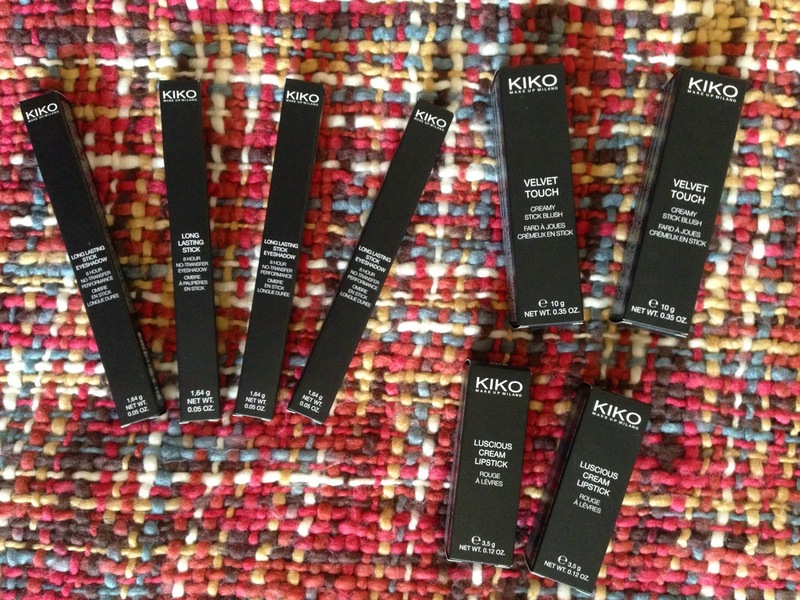 I'm suuuuper excited to show you guys my first ever, very big order from KIKO Cosmetics. They're an Italian company who have stores in the UK in both Leeds and London. The makeup from the website is shipped from Europe and I'd say the prices are 'mid-range' definitely pricier than drugstore brands but far cheaper than MAC or Benefit. However it didn't take forever to arrive - I ordered last weekend and it arrived on the following Friday. 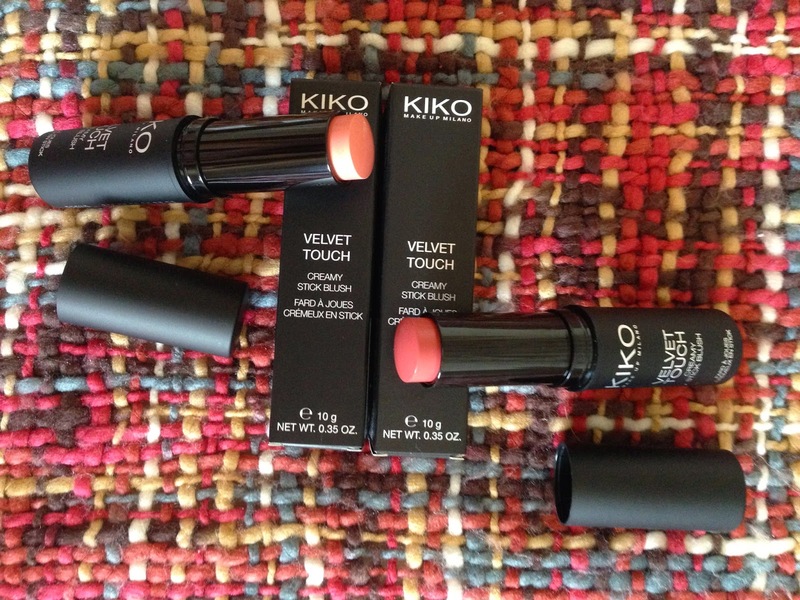 I chose 2 of the Velvet Touch Creamy Stick Blushes (£7.90 each) in the shades 02 Golden Peach and 06 Geranium. 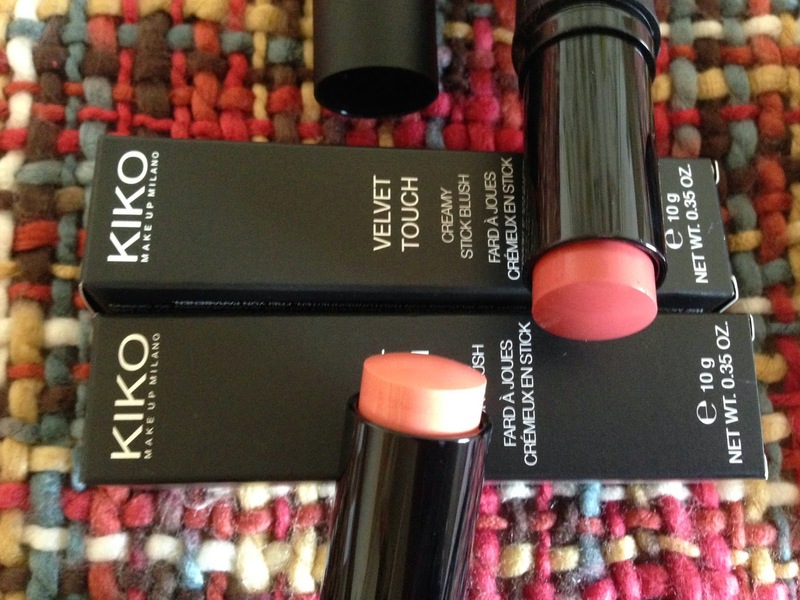 I was considering getting the Makeup Revolution Blush Sticks but none of the colours were really 'me' so I decided to add these to my KIKO order. I've tried Geranium, a medium muted pink and though it is a cream an does have a slight shimmer, it doesn't make my combination skin appear shiny at all. It's lovely for a natural flush of colour and the amount of product you get is amazing - they're twice the size I was expecting them to be! 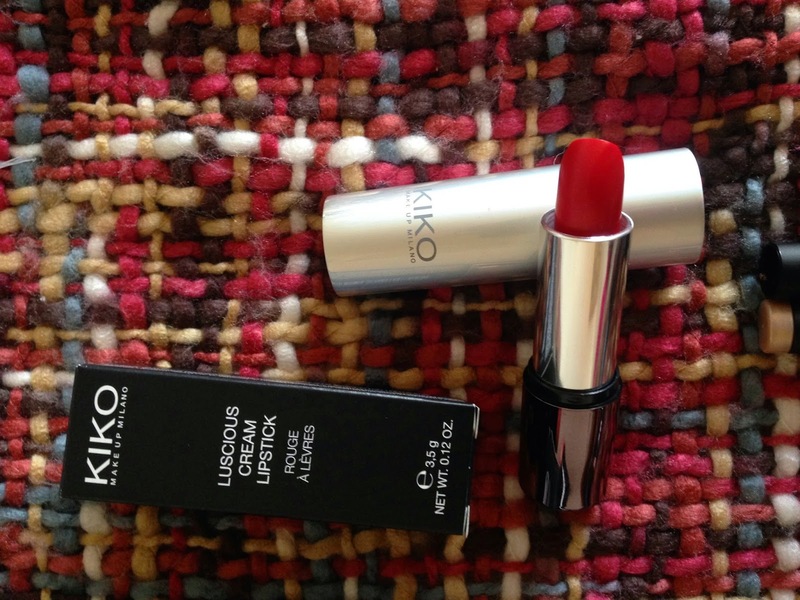 I also got a free Luscious Cream Lipstick in the shade 509 Passionate Fire Red which retails at £6.90 (though is currently £5 online). I'm not really a red person but it's worth giving the shade a go and I'm so impressed at how luxurious the packaging feels. For various reasons I did this as 2 separate orders so I have a second one of these to go in my giveaway prize box! 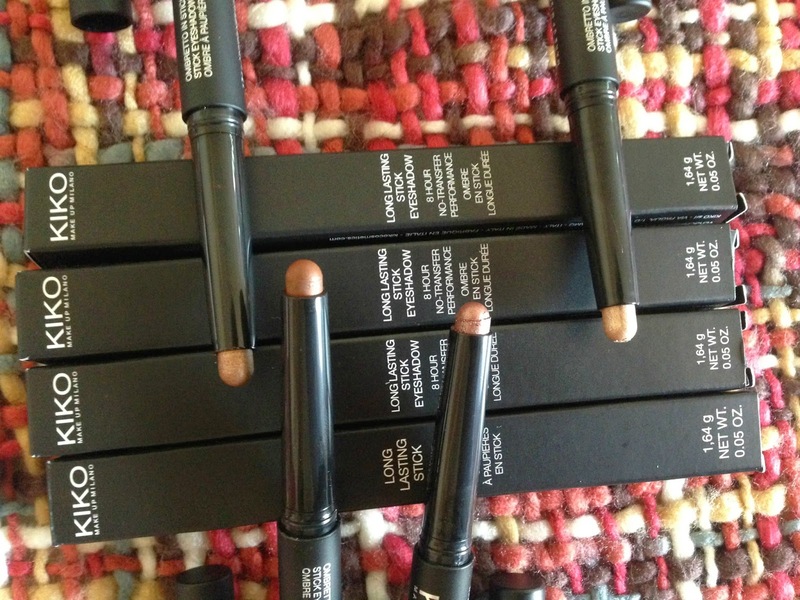 Being a cream eyeshadow lover, it was only right that I got a few of the fabled Long-Lasting Stick Eyeshadows (£6.90 each), which have been called a dupe of high-end brands such as By Terry, Laura Mericer and Bobbi Brown. 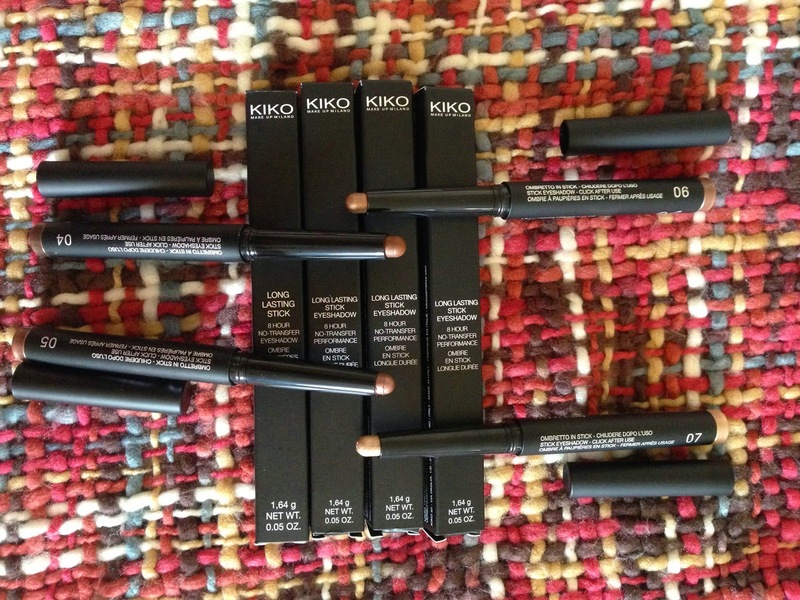 There are other stick eyeshadows on the more budget end of the market but I haven't seen them in such a huge selection of shades as the KIKO ones. Naturally I picked up the shimmery neutral shades! I have high hopes for 04 Golden Chocolate, 05 Rosy Brown, 06 Golden Brown and 07 Golden Beige. 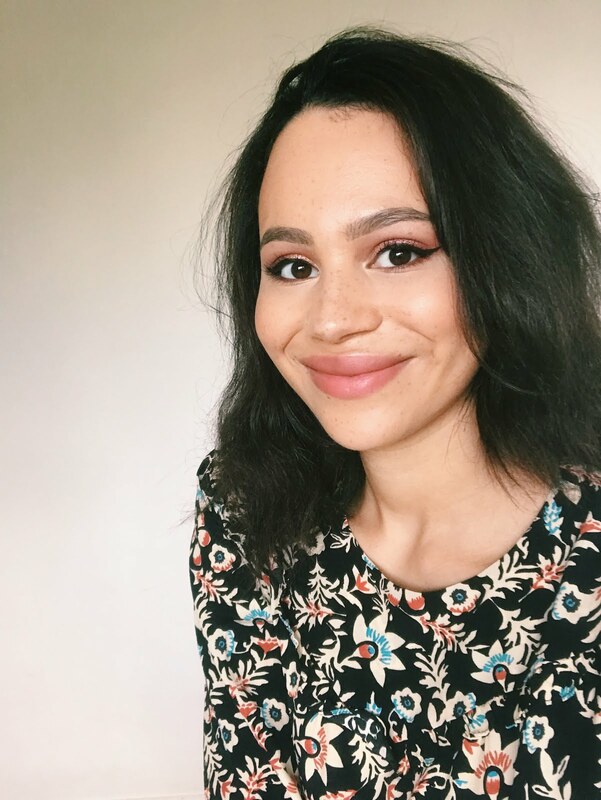 I love a berry lip at this time of year and I'm a huge fan of creamy matte lip colours so the Ace of Diamond Lipstick in 27 Refined Burgundy (£7.90), which is described as 'demi-mat' sounded perfect! 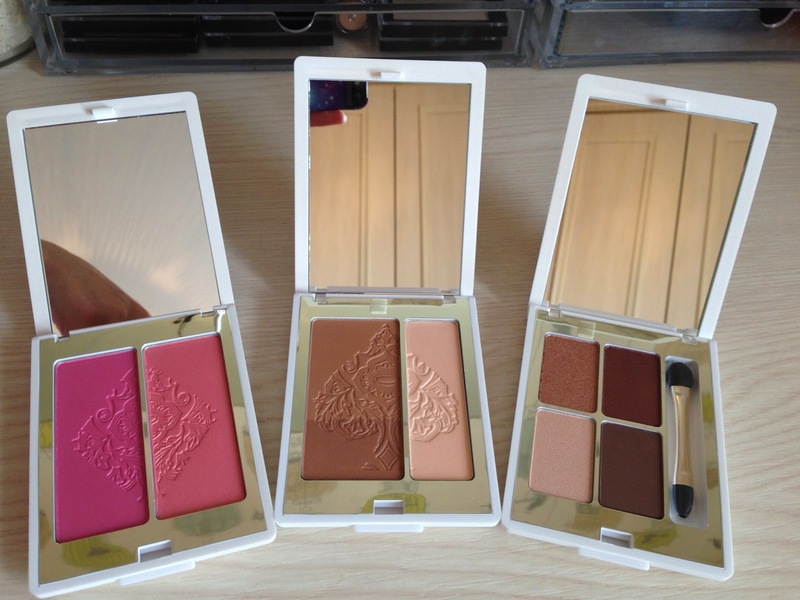 And look how stunning the packaging is! You have to spend £25 for UK delivery (kind of a bummer) so to bump up the price of one of my orders I picked up the matching Ace of Diamond Lip Pencil in 27 Refined Burgundy (£5.90), which also looks nice and creamy. 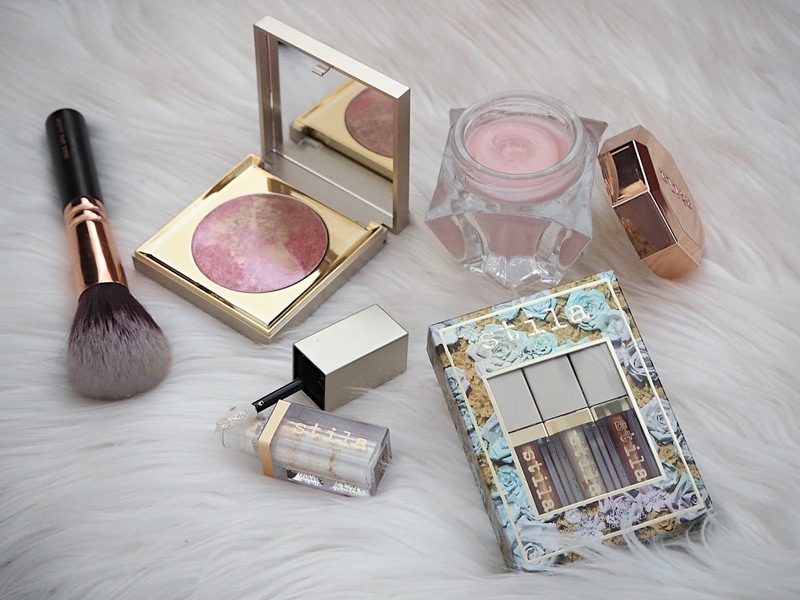 Overall I'm pretty wowed by their range and can't wait to try all this out and review it! I got 20% off which unfortunately is now over (I did try to get this up in time but unfortunately I couldn't take the photos before it ended) however I believe they do offers fairly frequently so you might want to sign up to their newsletter. 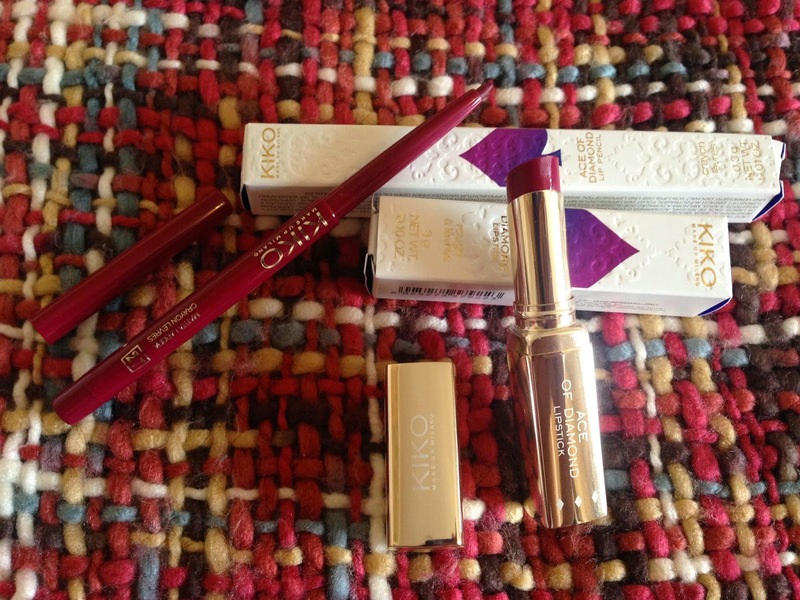 Oh I loooove KIKO!! Their eyeshadows are fantastic. I bought a bright orange one for something like £2 and it's SO pigmented. Like, crazily so. Love the look of the stick eyeshadows! 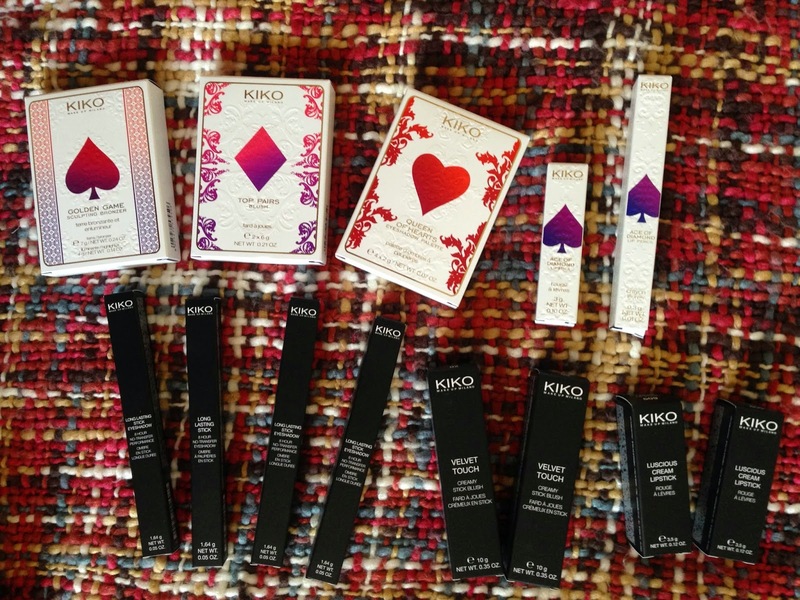 I've never tried anything from Kiko but might have to now! 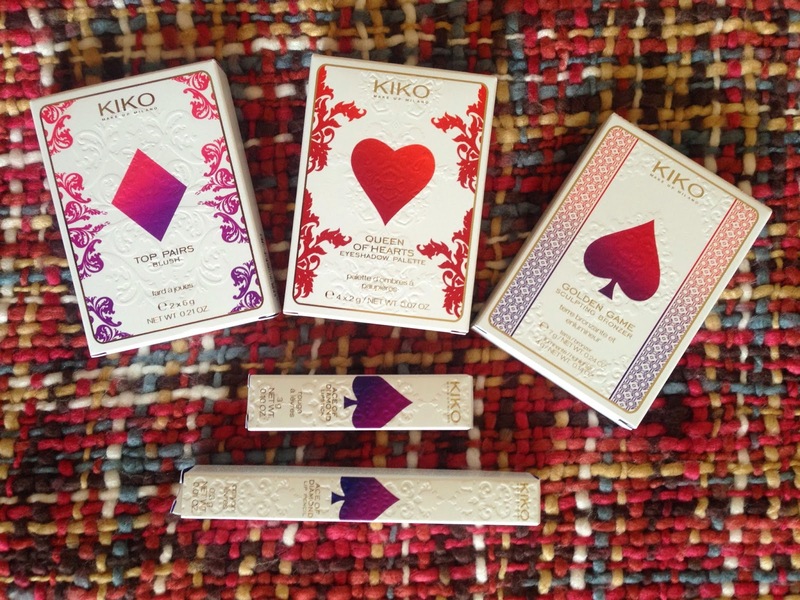 I've never tried anything from Kiko but the Daring Game packaging looks absolutely amazing and the colours look so nice!